Header option 1 of 2. Skip to main content. Header option 2. Skip to footer content. 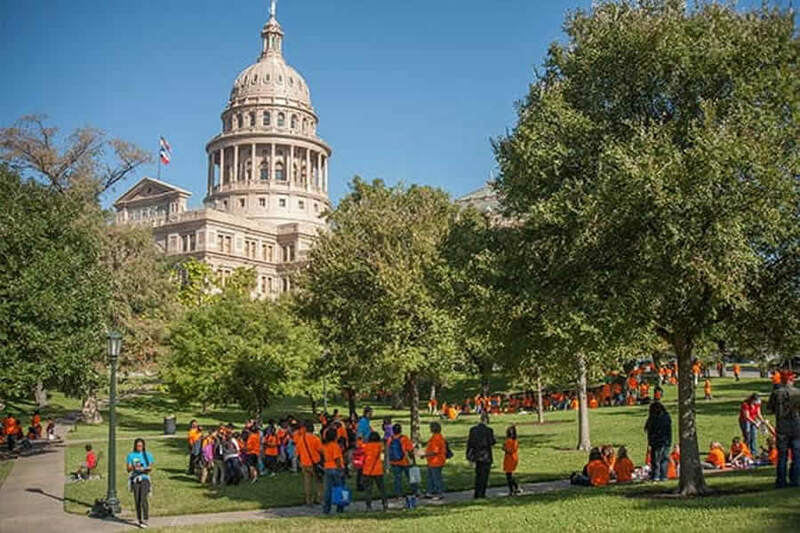 Some areas of the Capitol are not open to public tours due to their official function or preservation requirements. 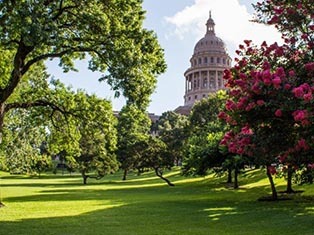 Explore some of these hidden areas of the Capitol. Blue Occuli Room, February 2012. 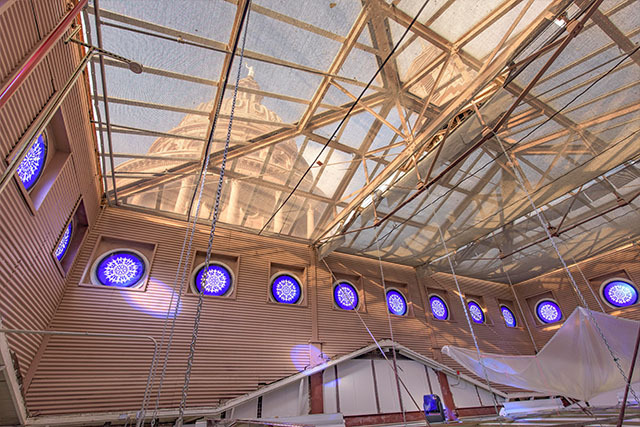 Twenty-four glass windows stand mostly unseen in a pediment on the north wing roof of the Capitol. Architect Elijah Myers included oculi since it was a common element of the Renaissance Revival architectural style. The original oculi glass likely came from Belgium. By the 1980s only seven original oculi remained and were stored in a crate. The 1990s Restoration returned six of the original oculi to the area and made exact replicas for the remaining eighteen. 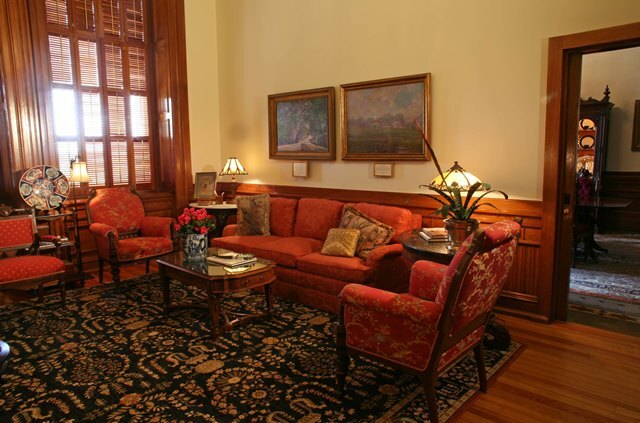 Lieutenant Governor's Reception Room, July 2009. For decades the area behind the Senate Chamber served as an apartment for the Lieutenant Governor. The fire in 1983 caused extensive damage to the space. 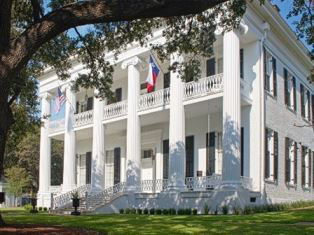 Senate officials eliminated the living quarters and transformed the area into the Lieutenant Governor’s Reception Room. 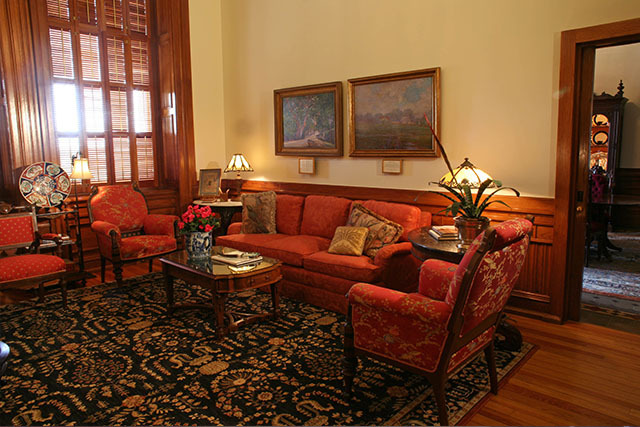 Although not original to the location, the antique furnishings and artwork in the Reception Room reflect the popular tastes during the late 19th century. Only two photographs of this private area before the 1960s have been located. If you have knowledge of historic images of the area, please contact us. House Speaker's Apartment, April 2009. The Speaker of the House of Representatives has had an apartment in the west wing since the Capitol's earliest years. 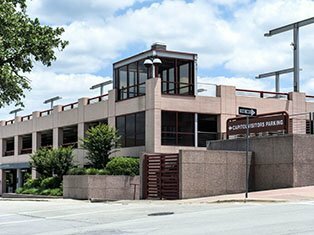 The space evolved over time and the 1990s Restoration reconfigured and renovated the space. The Speaker's Apartment currently includes offices, conference rooms, a kitchen and living quarters. No good images of this private suite before the 1960s have been found. If you have knowledge of historic images of the area, please contact us. Secretary of State's Private Office, c. 1995. The Secretary of State still utilizes the same office in the east wing on the first floor as when the Capitol first opened in 1888. 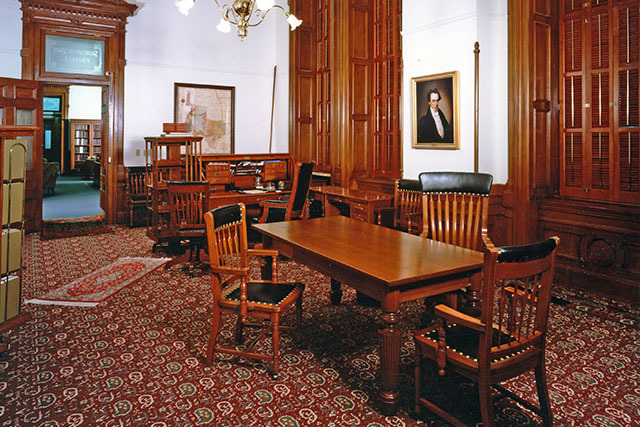 In 1927, Secretary of State Jane McCallum explored a vault in this office and discovered an original copy of the Texas Declaration of Independence folded up in a tin box. Historic images of this important location are extremely limited. If you have knowledge of historic images of the area, please contact us. Treasurer's Business Office Vault, September 2011. 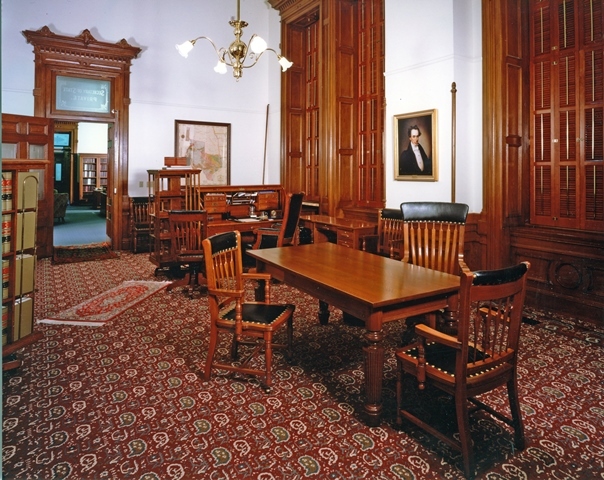 The office in the south wing now used by the Capitol Information and Guide Service originally served as the State Treasurer's Business Office. Three vaults in the office held the state funds. The vaults feature elaborately painted doors. Only a few photographs of this important center of state finance before the 1950s have been documented. If you have knowledge of historic images of the area, please contact us. 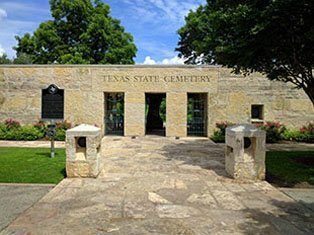 In January 1936, workers installed an underground vault to provide additional space for Texas State Treasury monies, securities and legal tender. 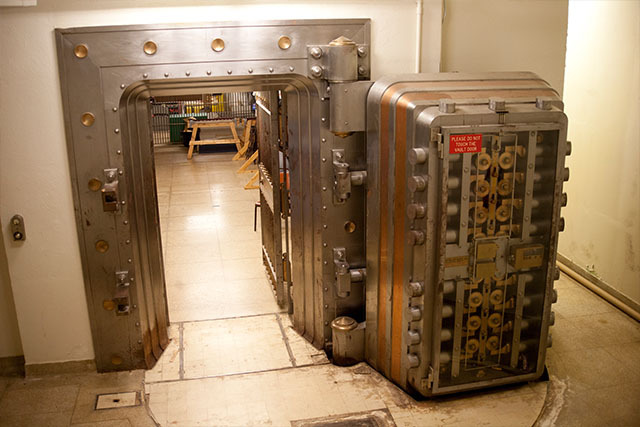 The door of the subterranean vault weighs 28-tons and the vault has 28-inch thick walls. 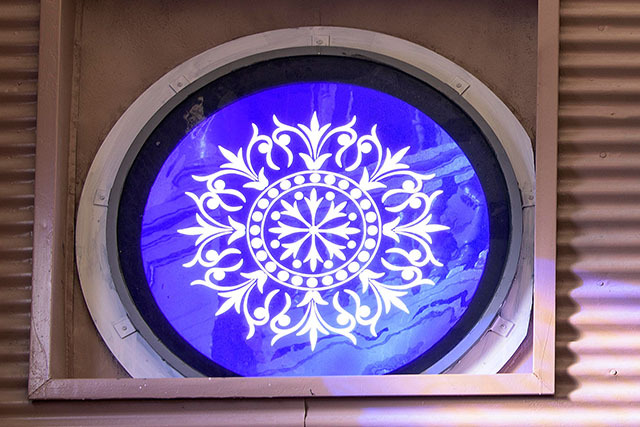 The vault features an elaborate set of mirrors allowing individuals at the back to see the entrance. 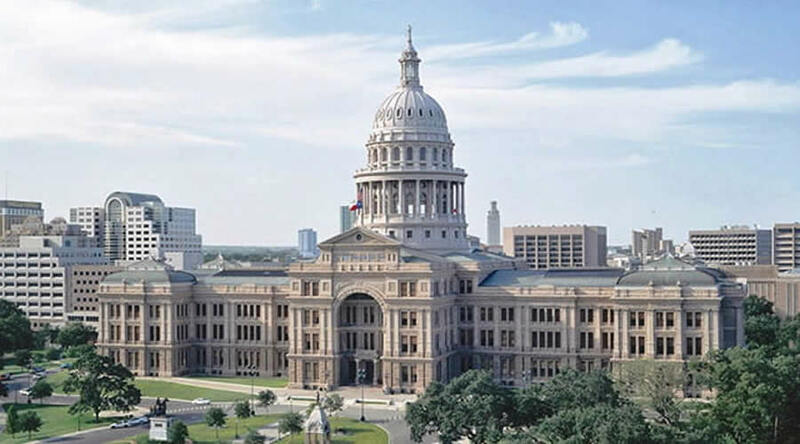 After the State Treasury vacated the Capitol, Representative Joe Allan of Baytown used the vault for an office from 1973 to 1976. 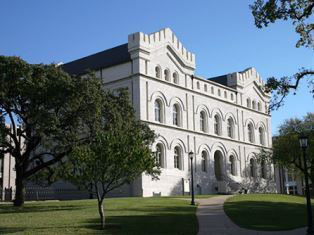 Since the 1990s Restoration, the vault has served as an office and storage area for State Preservation Board facilities staff. Top of the inner dome looking down, April 2007. 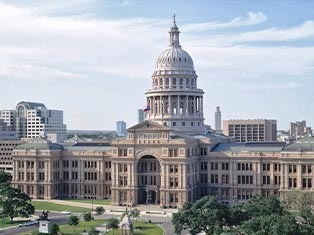 The Capitol has a "dome within a dome" construction. The dome with the star on the ceiling inside the building stands surrounded by the large iron dome on the outside of the statehouse. 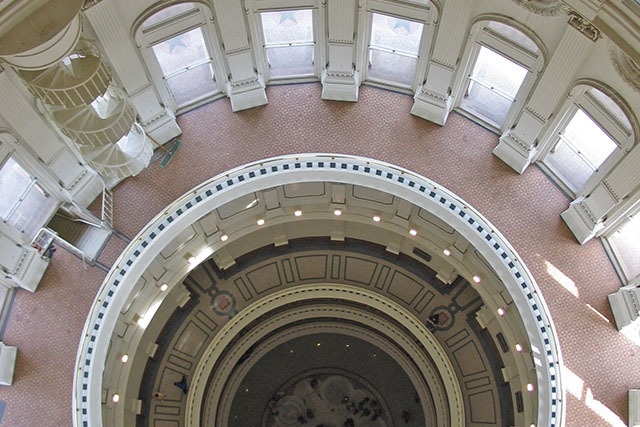 A series of staircases, including the interior spiral stair visible from the Rotunda, link the two domes. 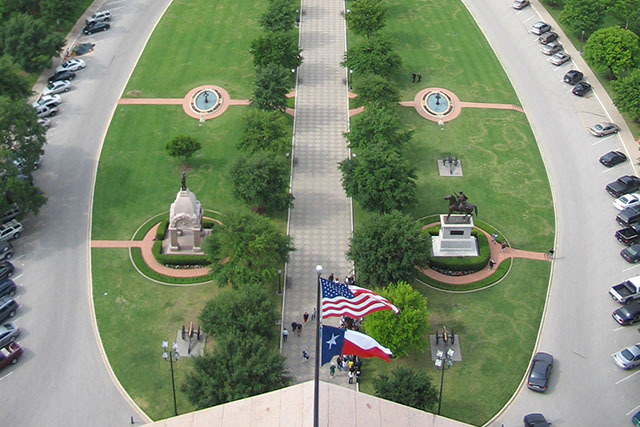 Due to safety and preservation concerns, officials have restricted access to the top of the dome. Dome Walkways. View towards the south from the eighth level walkway, November 2008. 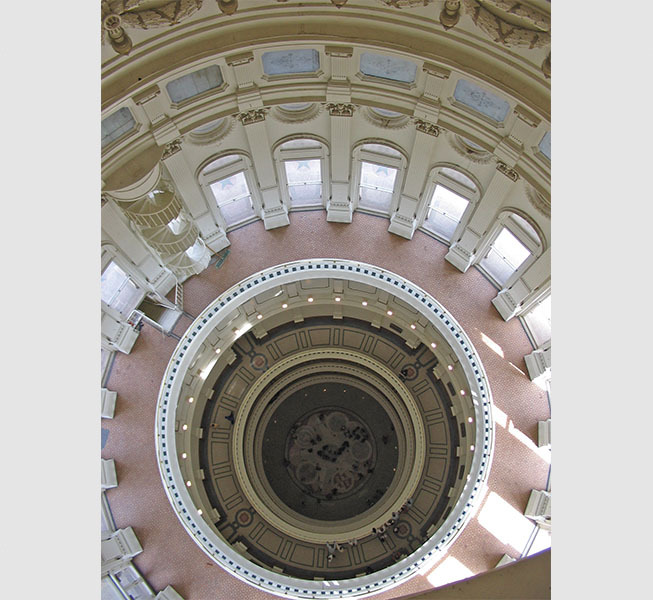 The Capitol dome has nine levels similar to different floors or stories on a tall building. Exterior doors exist on the seventh, eight and thirteenth levels, which open up to walkways on the outside the dome. 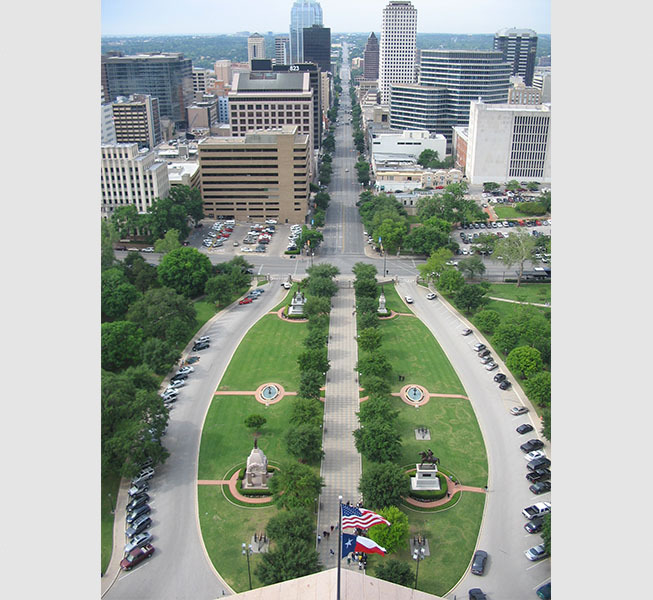 These locations provide expansive views of downtown Austin and surrounding areas. Before the construction of modern high-rise buildings, people could scan the horizon and see nearly twenty miles in any direction. Due to safety and preservation concerns, officials have restricted access to the top of the dome. Footer content 1 of 10. Return to header options and navigation menu. Footer content 2. Go to Site Map. Footer content 3. Google translate pop-up button. Footer content 4. Social media follow us buttons pop-up. Footer content 5. Social media share buttons dropdown. Footer content 6. Column 1. For Visitors internal links. Footer content 7. Column 2. SPB Properties internal links. Footer content 8. Column 3. Partnerships and Support internal and external links. Footer content 9. Column 4. 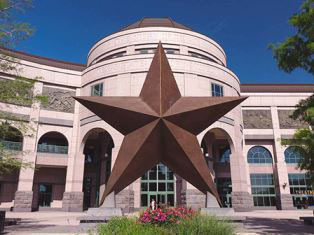 Other Texas State websites external links. Footer content 10. Bottom row. Copyright and website policies.